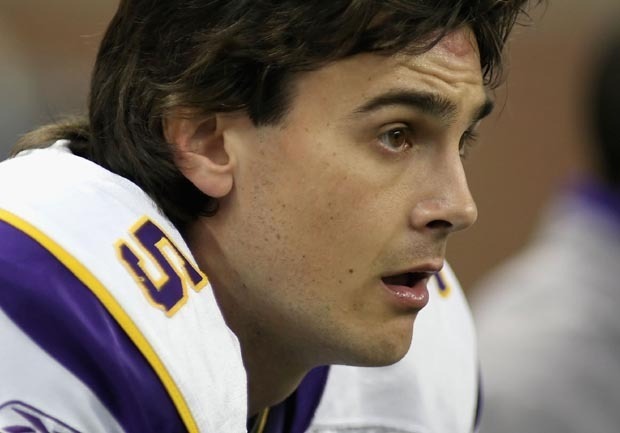 MINNEAPOLIS Chris Kluwe may be a pro football player but he is probably more known for his vocal stances on a plethora of issues - everything from gay marriage to replacement referees. On Sunday, the Vikings punter publicly advocated for something else: a retired football player long snubbed by the Hall of Fame. Kluwe continued his campaign to get punter Ray Guy into Canton by writing "Vote Ray Guy" on his jersey patch commemorating the Hall of Fame. The punter has already called out Hall of Fame voters in an open letter published on Deadspin. Kluwe said: "Why am I going to support a Hall of Fame that doesn't have a punter in it?" He called it "a sham of a system if you're not going to acknowledge every facet of the game." Last year, Guy's three Super Bowl rings were auctioned offbecause the legendary punter was filing for bankruptcy and a judge ordered the auction to pay off his debts. Guy won the three rings during his tenure with the Raiders from 1973-1986, picking up rings in Super Bowl XI, Super Bowl XV and Super Bowl XVII.